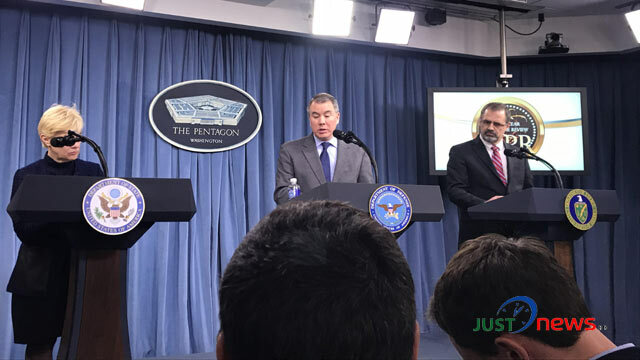 M Mushfiqul Fazal from Pentagon, Washington, Feb 2 (Just News): The United State has released Nuclear Posture Review 2018 in a joint press briefing at the Pentagon on Friday. “The Nuclear Posture Review released today is a strategy to keep America safe with a deterrent that is modern and credible,” Deputy Defense Secretary Patrick M. Shanahan said Friday in rolling out the strategy. On January 27, 2017, the President directed the Department of Defense to conduct a new Nuclear Posture Review (NPR) to ensure a safe, secure, and effective nuclear deterrent that protects the homeland, assures allies and above all, deters adversaries. 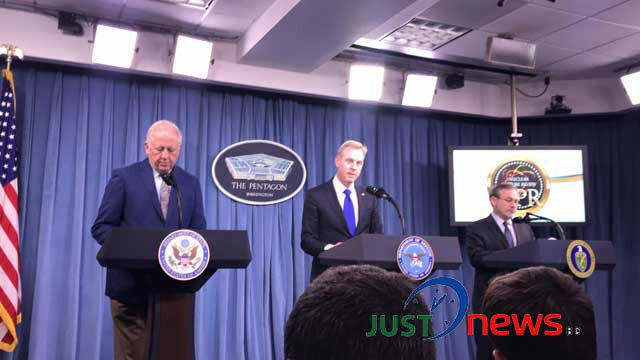 The NPR reaffirms that the fundamental role of U.S. nuclear policy is deterrence and continues the clear commitment to non-proliferation and arms control, Deputy Defense Secretary said in the Pentagon press briefing. The Nuclear Posture Review calls for modernizing the nuclear triad -- land-based intercontinental ballistic missiles, submarine-launched ballistic missiles and nuclear-capable aircraft -- and command-and-control system. According to NPR, the United States remains committed to its efforts in support of the ultimate global elimination of nuclear, biological, and chemical weapons. It has reduced the nuclear stockpile by over 85 percent since the height of the Cold War and deployed no new nuclear capabilities for over two decades. Nevertheless, global threat conditions have worsened markedly since the most recent 2010 NPR, including increasingly explicit nuclear threats from potential adversaries. The United States now faces a more diverse and advanced nuclear-threat environment than ever before, with considerable dynamism in potential adversaries’ development and deployment programs for nuclear weapons and delivery systems.